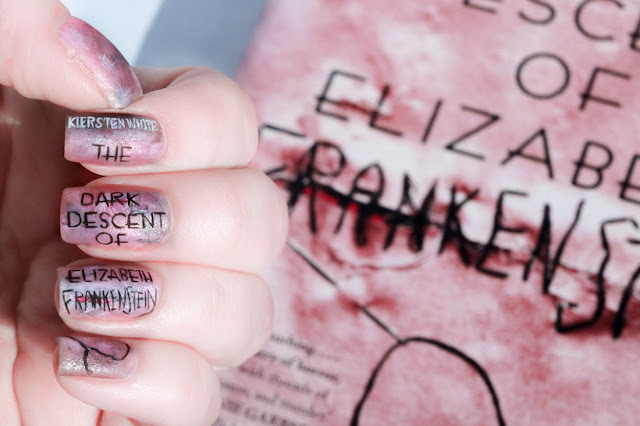 Lately, I’ve found myself craving darker stories, which is likely a combination of the environmental and social climate, so I mixed up my reading schedule a bit to accommodate my heart and mind’s present needs. Enter, THE DARK DESCENT OF ELIZABETH FRANKENSTEIN, Kiersten White's latest dose of awesomeness. Elizabeth’s beginnings as an unwanted and abused child left her acutely aware of life’s painful underbelly. Sold for a pittance, her environment transformed to one of superficial luxury, but the strings attached were significant, especially for a child. Being assigned the hefty job of soothing and managing a fairly terrifying boy, Elizabeth had to anticipate and adapt. Quickly. A smart girl who grew into an even smarter young woman, Elizabeth identified the mannerisms most appealing to her charge, and then proceeded accordingly. Her entire existence became an extension of Victor. Whatever he needed her to do, she did, discounting her own opinions and thoughts in fear of being thrown out of the Frankenstein household. Infuriating, to say the least. But Kiersten White used my fury to her advantage, because I became fiercely protective of Elizabeth. Keeping the narration from her first-person POV, I had access to Elizabeth's real self, which took that protectiveness and expanded it to include the utmost respect. Elizabeth’s external façade as the perfect companion created a disguise for who she truly was—a duality that she executed with style and also served as a constant reminder that as a woman during this time period, there weren’t many options. To make matters more complicated, if Elizabeth was too good at her job, equipping Victor with the tools he needed to blend into society, then her services would no longer be required. She had to find a balance between teaching Victor how to act "normally" to appease his parents, while secretly enabling the very behaviour that prompted her hiring, in order to retain Victor's trust. In short, she had to be successful, but not completely successful, lest she be deemed unnecessary by either party. A seemingly impossible undertaking and yet, Elizabeth found a way to do it. 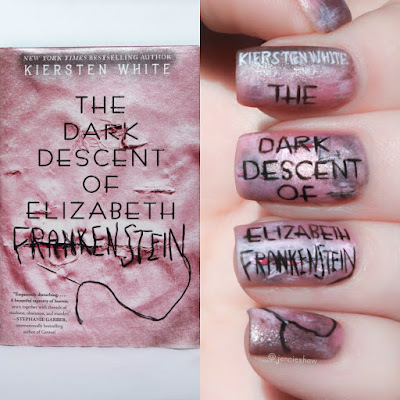 So I guess I’m saying that reading THE DARK DESCENT OF ELIZABETH FRANKENSTEIN kept me entertained, but also made me angry. Elizabeth had to sacrifice everything, right down to who she could have been without the overwhelming task of monitoring another person. Someone who, in turn, viewed her as a possession. Not a fair deal. Not even close. But Elizabeth wasn’t a weak pushover. She was cunning, manipulative, and with most of her morally questionable behaviour originating from a position of desperation—the highest of stakes—she could be ruthless. And thank goodness, because those traits equipped her for when things went sideways. Also, by sideways I mean waaaaaaay dark. Because, you know, this is a FRANKENSTEIN retelling. Yes, the title was chosen for good reason, friends. 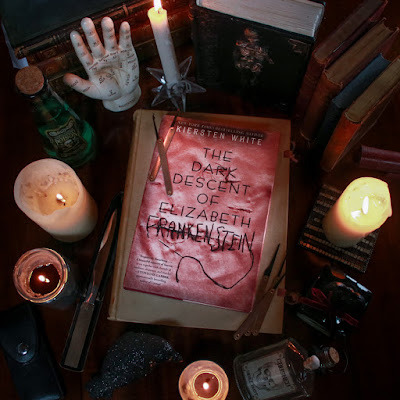 So if you’re a fan of medium horror, creep-tastic plots, and retellings that create an entirely new story while maintaining the OG vibe, make sure you read THE DARK DESCENT OF ELIZABETH FRANKENSTEIN!